When searching for wedding makeup there are so many wedding makeup artists out there it can be daunting narrowing down who is really good. It is usually a great start when looking for your perfect wedding makeup artist to check out the gallery first. It should be clear from a gallery what kind of style the makeup artist has and if they have the capability to achieve what you want with your wedding makeup. If you like the look of the bride’s wedding makeup and hair then you will want to be quick with your enquiry. In the wedding world, the sooner you book the wedding makeup artist you like, the better, as it becomes a lottery with availability the longer that you leave your enquiry. Some people book at least a year in advance. It is always worth the enquiry though, as sometimes there will be availability and I even have a team who have been taught my style and techniques, so they are able to fill in when I am pre-booked. 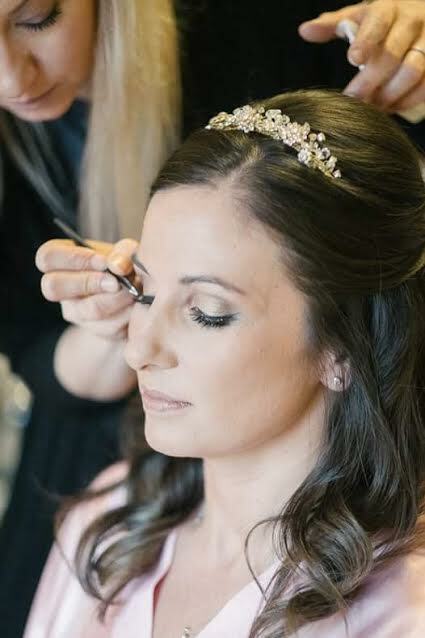 We look forward to hearing from you soon when you are looking for your wedding makeup artist and hairdresser.